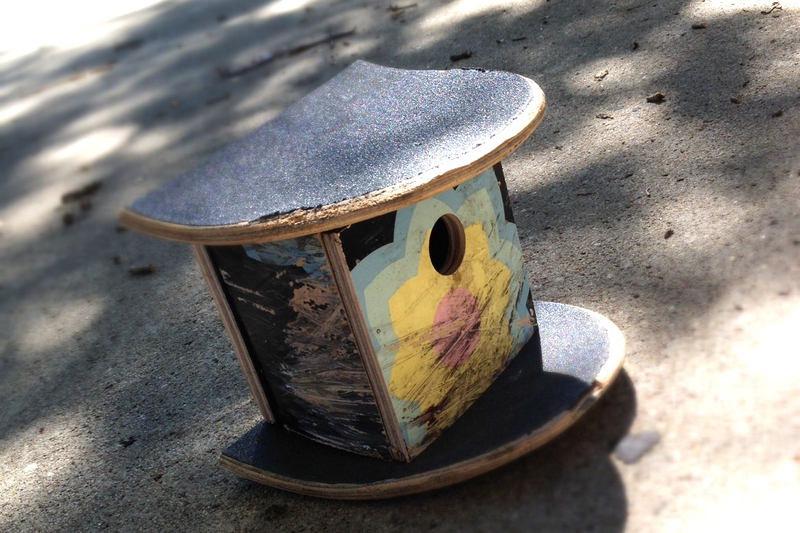 When you're married to a skater, you get accustomed to having a few scraped-up skateboard decks lying around. 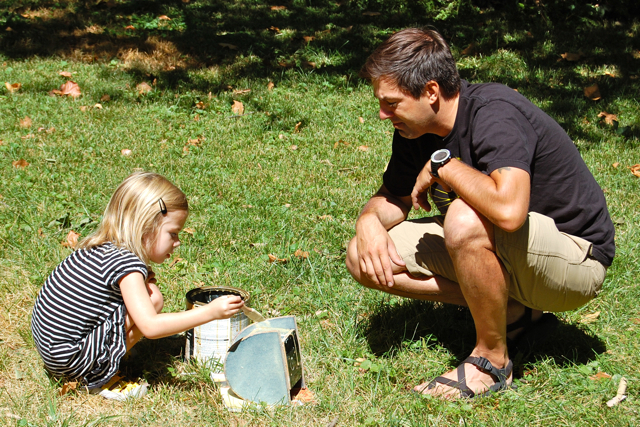 And over the weekend, Lo was suddenly obsessed with making a birdhouse. So my brilliant husband decided to chop up one of those decks, and together, he and Lo designed this rad birdhouse! If you want to make your own birdhouse, you'll need: a saw, a skateboard deck (cut into pieces in the measurements shown here), hammer and nails or a nail gun, a large drill bit or hole saw, nontoxic waterproof wood sealer, and rope or twine for hanging. 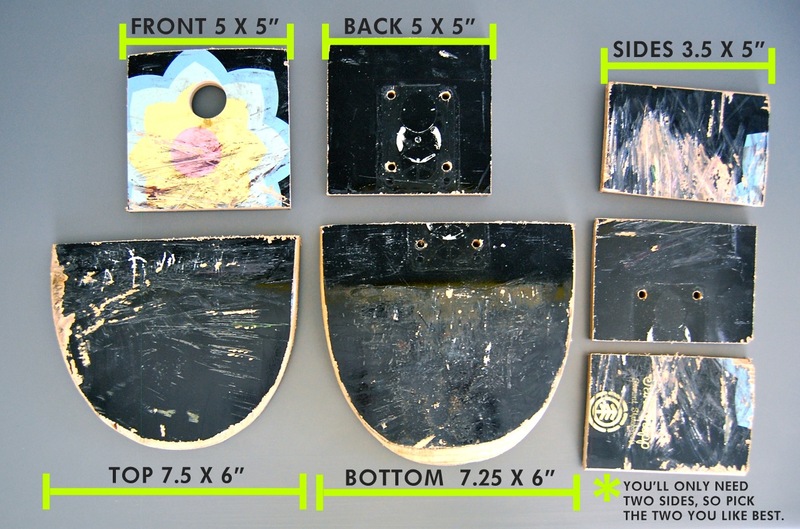 Here's the general idea of how to assemble the pieces. 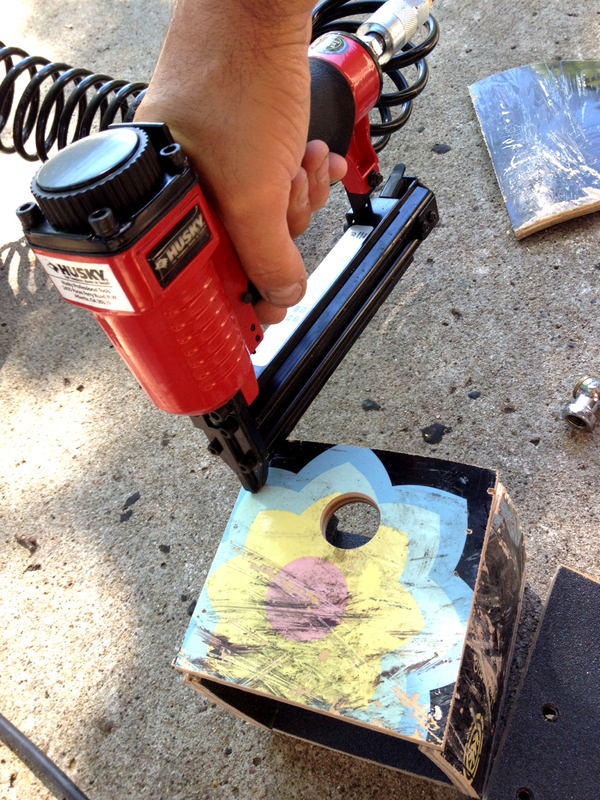 You'll need to drill a decent-sized hole through your 'front' piece. We put the larger curved piece on the bottom for the 'ledge' and used the smaller one for the roof, but it would work either way. Seal the whole thing with nontoxic waterproof wood sealer. After the sealer has dried, you can decide how you want to hang your birdhouse. You can string thin rope or twine through the existing holes in the back, or attach a metal hanger or screw hook/eye to the back or through the top of the roof. 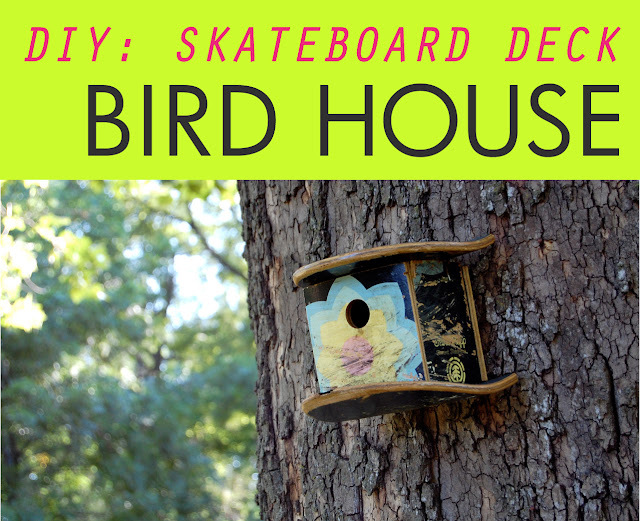 Without a doubt, your lucky birds will have the coolest house on the block. Later, skater. 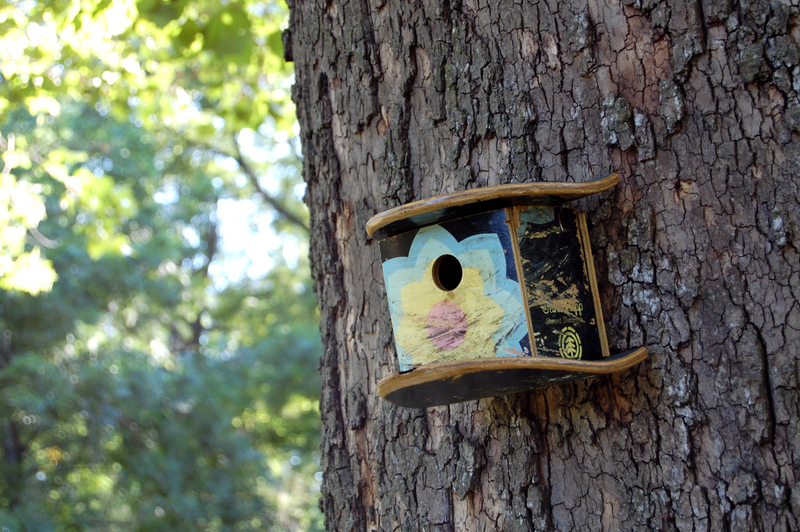 That is by far the coolest birdhouse I have ever seen! Hope you'll have some bird neighbours soon! That is clever! Great way to use up the inevitable scrapped board! I found something on pinterest once that cut them in half, mounted them to the wall and used them as shelves! I always have backyard envy but now I also have nail gun envy! 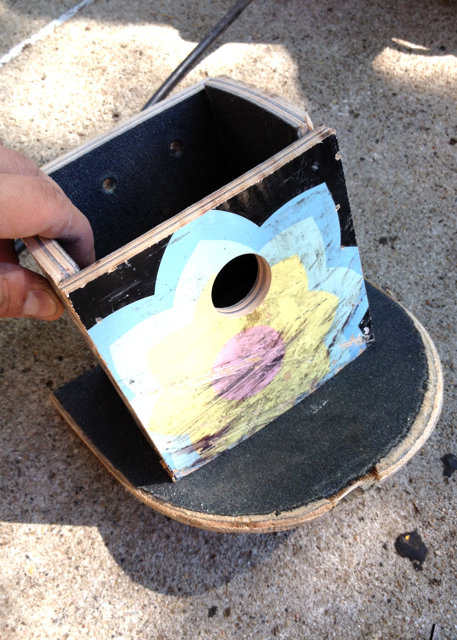 It seems like a good way to repurpose those old skateboards and make them useful in a different way. Good post.